Make money as a secret shopper! A company promises it’s easy income but the BBB is warning people about the red flags. BALTIMORE — Make money as a secret shopper — that's what some companies promise and claim it’s easy income, but the Better Business Bureau is warning people about the red flags. Chelsea Earley almost fell for what she thinks is a scam after she read an email that popped up in her school inbox. "Yeah because I was like 'oh it’s a job placement in student services, maybe it’s legit,' ” she said. It was enticing her with a $300 weekly paycheck if she kept up with their instructions. She put in her phone number and address and a week later she got a package in the mail. They opened it and found a check for $1,355, plus detailed instructions that told her to deposit the check and then within 24 hours, buy two $500 Walmart gift cards, scratch off the back, take a picture and send it in so they can get their money back. "I was like who is sending you a $1,300 check? That’s insane. You’re 19 years old,” said Christy Bidgood, Earley’s mom. 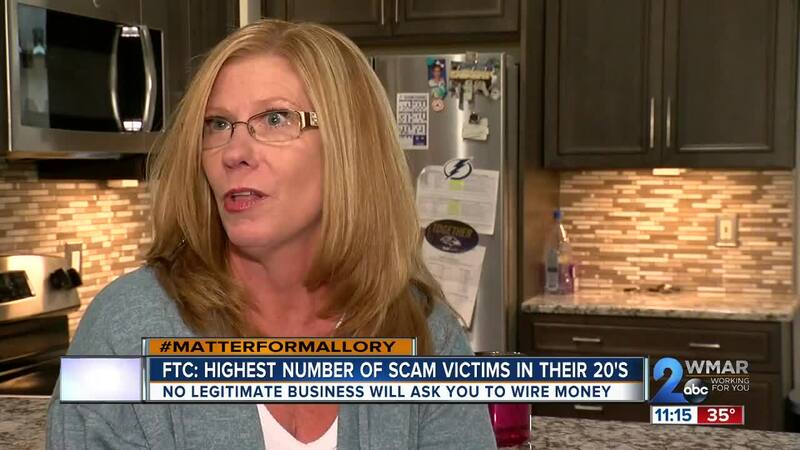 Her age falls in line with research from the Federal Trade Commission that say the highest number of fake check scam victims are people in their 20s because they don’t understand how checks work. The BBB says it can take a week or two for a check to bounce, yet banks typically release the money into the account sooner than that. "Yeah I do have a lack of knowledge about checks so I think people that don’t understand checks, they are definitely going to fall for it,” Earley said. The BBB says be wary of a company that overpays an employee and then asks them for money to be wired elsewhere. They say no legitimate business would do this. The BBB doesn’t have record of the company’s business profile in their system, but they say at least seven other people have reported concerns through their scam tracker . You can search potential scams or report one to the BBB so they can investigate.